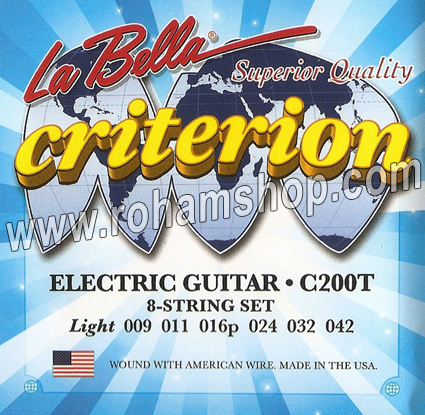 La Bella's Criterion strings. Superior quality. The well-balanced string set is the clear choice for discriminating players. The strings are very bright, long lasting, and super flexible for bending and sustaining notes.